If you’ve been working under a local bookie for some time and now have your own sheet and the experience to handle it, why not branch out and create your own sportsbook? Imagine being able to keep 100% of your profits every season, instead of having to give a cut to the corner guy who let’s be honest, did little or nothing to help you earn them. If you have dreamed of having your own shop, then this is the time to act, join www.AcePerHead.com for free and create your own sportsbook! Ace Per Head is the premier pay per head service that can help you set up your own shop within 24 hours. You can start small and build your business at your own pace with a minimal investment. Their suite of services includes cutting edge technology, specialty lines, the best betting software, top notch customer service and most importantly all the support you need to get started. If you feel your package is too small to warrant having a custom-made website, then you can utilize the state of the art betting portal that AcePerHead.com provides. 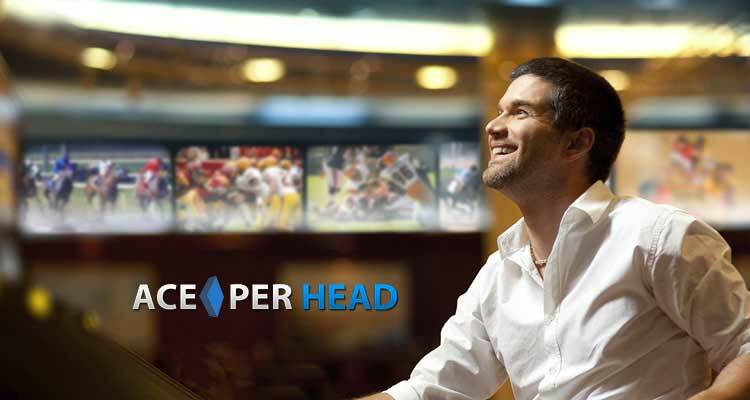 By joining Ace Per Head, you will be able to provide your players with the best wagering experience of their lives. Ace offers a full sports betting service, plus a horse racing platform which supports hundreds of tracks nationwide and 2 different casinos, their virtual casino offers the best graphics and tons of games to choose from that will keep your players entertained for hours on end; for those who enjoy a more realistic experience, the Live Dealer Casino is the ultimate solution. When your player’s login to the live dealer casino, they will be able to interact with beautiful female dealers through HD live stream video while playing their favorite game. There are some things to consider before you go out on your own, the most important one is to have the bankroll needed to pay your players in full, if you do not enough money on hand to be able to this, then don’t be discouraged, you can still move forward with your plan, you will just need to secure financial backing either in the form of a partner or an investor. Another thing to keep in mind, is the logistics to be able to pay and collect every week, you may be able to handle everything yourself right now, but, once you switch to www.AcePerHead.com your business will grow rapidly and you must be prepared to handle this growth. If you feel you are ready to be your own boss, and all you need is the right pay per head service to get started then give us a call, and let us know what your needs are, we can put in place a course of action to help you create your own sportsbook and have you set up within 24 hours. The time to act is now, get ahead of the crowd so you can have everything in place before football season starts!